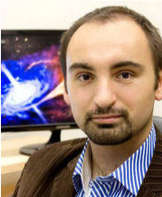 Mislav Baloković has been a Black Hole Initiative Postdoctoral Fellow at the Center for Astrophysics | Harvard & Smithsonian since Fall 2017. He is the coordinator of the EHT Outreach Working Group, working on promotion of collaboration's work in the media and on public outreach projects. He also contributes to multi-wavelength studies of EHT targets, with particular emphasis on the X-ray band. His primary scientific interest are multi-wavelength observations and modeling, aimed at better understanding the structures surrounding supermassive black holes. Katie Bouman is currently an EHT Postdoctoral Fellow at the CfA and will be starting as an Assistant Professor at Caltech. She joined the collaboration in 2013 and is a lead for the EHT Imaging Working Group. She also contributes to EHT data reduction, analysis, and has been part of the EHT observing campaigns at the Large Millimeter Telescope (LMT) in Mexico. Lindy Blackburn is a Radio Astronomer at the CfA and leads the Data Calibration and Error Analysis efforts that provide the processed data from which EHT images are derived. 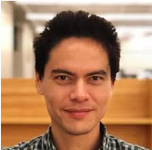 He works on end-to-end aspects of the data pipeline, from instrumental acquisition, though processing, instrumental modeling, and statistical interpretation. He joined the project in 2014 as an EHT postdoctoral fellow. 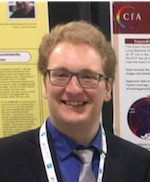 Andrew Chael is currently a graduate student in the Harvard physics department who joined the EHT collaboration in 2014. He is a leading member and paper coordinator in the imaging working group. He also researches the inner accretion flows around the EHT's black hole targets through with large-scale numerical simulations. He will be starting a NASA Einstein fellowship at the Princeton Center for Theoretical Science in the fall. Sheperd (Shep) Doeleman is the Director of the EHT and an Astrophysicist with the Center for Astrophysics | Harvard & Smithsonian. 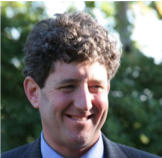 He is also a Harvard Senior Research Fellow and a Project Co-Leader of Harvard’s Black Hole Initiative (BHI). His research interests focus on problems in astrophysics that require ultra-high resolving power and his work employs the technique of Very Long Baseline Interferometry (VLBI), synchronizing geographically distant radio dishes into an Earth-sized virtual telescope. 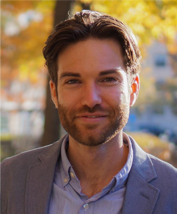 Joseph Farah is a Smithsonian Fellow at the CfA, working on imaging, modeling, and feature extraction. He helps develop and maintain software packages for many projects within the EHT, including weather monitoring, multiwavelength coverage analysis, the eht-imaging library, and more. He currently leads research into new parameterizations for the shadow in the Kerr metric, and is the only undergraduate EHT collaborator. David James is the Project Manager for the local Smithsonian Astrophysical Observatory EHT group. 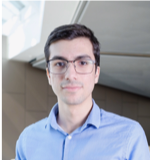 He joined the EHT project in early 2017, and is a member of the EHT Management Team, as well as serving as a co-coordinator of the Array Coordination and Readiness Working Group. 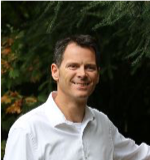 David has published over 250-refereed scientific papers on a broad range of topics, and has an h-index of 51 (March/2019). Kari Haworth joined the EHT in late 2018 and is an electrical engineer on the instrument team for the EHT. Michael Johnson is a Federal astrophysicist at the CfA and joined the EHT in 2013. He leads the EHT Imaging Working Group and also contributes to EHT data reduction, analysis, polarimetry, scattering, modeling, and theoretical interpretation. Jim Moran is Professor of Astronomy, emeritus, at Harvard University and a senior scientist at the Smithsonian Astrophysical Observatory. He was a member of the original development team for the VLBI technique in 1967. He has been working on the quest to resolve the structure of the radio emission from SgrA* since 1985. 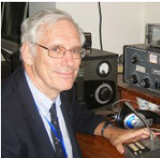 He is a co-author of the textbook "Interferometry and Synthesis in Radio Astronomy." 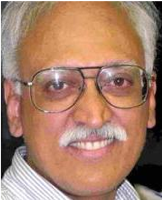 Ramesh Narayan is Professor of Astronomy at Harvard University and a member of the CfA. He joined the EHT in 2017. He works on large-scale computer simulations, develops imaging methods, and contributes to theoretical interpretation of results. Daniel Palumbo is a graduate student in Astronomy at Harvard University. He operates and analyzes imaging parameter searches and also contributes to observation simulation and imaging software development. 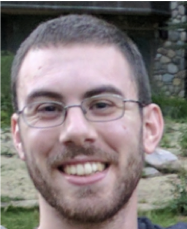 Dom Pesce is an EHT Postdoctoral Fellow at the CfA and joined the collaboration in 2018. He works primarily on modeling, feature extraction, and parameter space exploration algorithms. Alexander Raymond works as part of the EHT instrumentation team developing field programmable gate array tools for making VLBI observations. Jonathan Weintroub is an electrical engineer and scientist at the CfA.. He leads the digital signal processing group for the Submillimeter Array (SMA), an 8-element radio interferometer and EHT station located on Maunakea in Hawai'i, and also manages EHT observations at SMA. Dr. Weintroub led the group which developed and commissioned the "SMA Wideband Astronomical ROACH2 Machine" (SWARM) a 32 GHz bandwidth instrument which supports EHT operations at SMA. He also led the design and deployment of digital instruments for other EHT sites. Maciek Wielgus is a Black Hole Initiative Postdoctoral Fellow at the Harvard University. He joined the EHT in 2017. He is responsible for the data set calibration, development of the data processing pipeline, error analysis and dataset validation, co-coordinator of the calibration paper. He also contributes to the time variability and polarimetric studies.